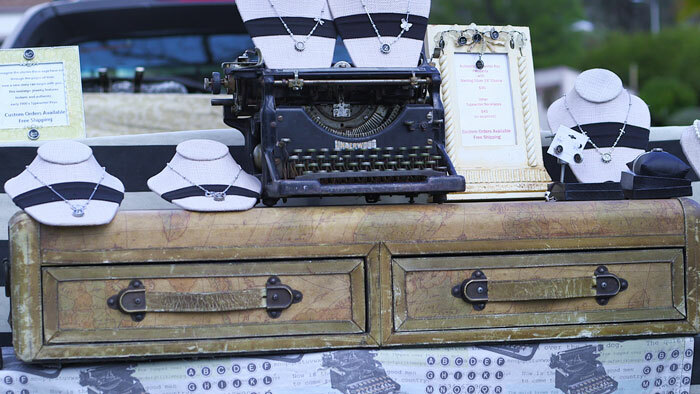 Discover how one woman transformes antique typewriter keys into vintage jewelry. Repurposing antique typewriter keys, one jewelry maker has created a unique, personal and handmade product. Ruth features necklaces for every letter in the alphabet. 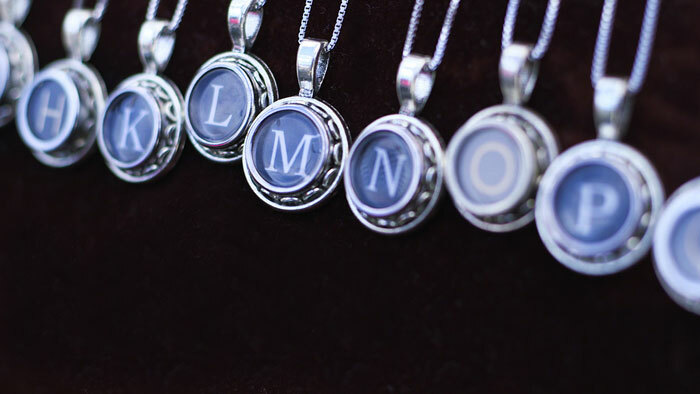 This makes them the perfect personalized gift for any friend or family member. 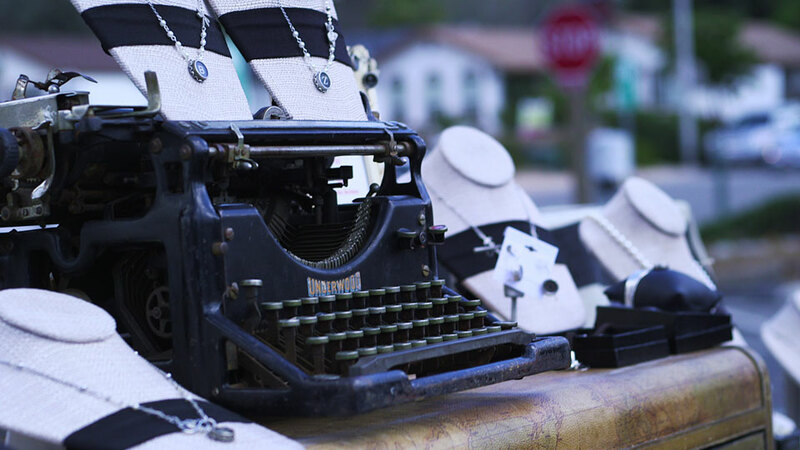 Ruth uses a worn, vintage suitcase as a platform to display her antique Underwood typewriter. 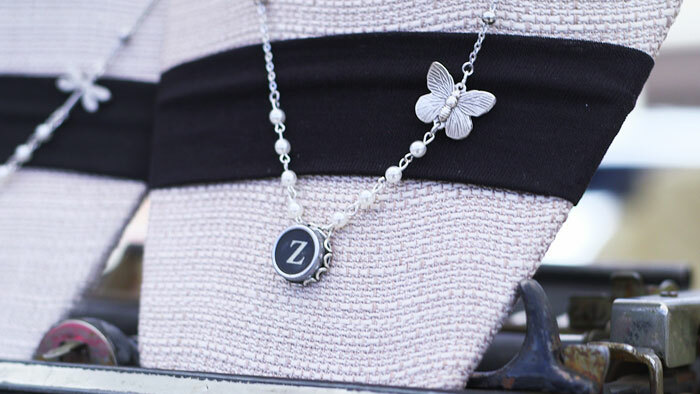 Each necklace is made with a sterling silver chain from Italy and occasionally a butterfly pendant for a whimsical touch.